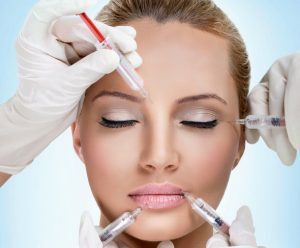 For individuals who are looking to correct relatively minor imperfections or reduce the signs of aging, injectable treatments are often a worthwhile and effective alternative to facial cosmetic surgery. With dermal fillers wrinkles, age lines, laugh lines, and other areas of the face can be filled in and revitalized. By increasing volume beneath the skin, the appearance of wrinkles and lines is reduced. Though the results of dermal filler treatment are temporary, they can last up to a year or more, making it convenient for individuals who are looking to maintain their appearance over time with minimal effort. You can either book straight in for frown freezing and fillers or you can have a free consultation beforehand. One key advantage of this procedure over many other cosmetic procedures is the minimal downtime and pre/post operative restrictions associated with treatment. With only a few minor restrictions in activity, a patient can resume their normal daily lives immediately after treatment. We only advise you to not do any strenuous exercise or consume alcohol for 24 hours after the treatment. Full pre-operative instructions will be given. The treatment lasts between 6-12 months and varies from person to person.